Whether you have a full floral vision or you have no idea what you want for your wedding flowers, if you’re working with Q+O, rest assured, your flowers will be beautiful. Many brides tell me they don’t know anything about flowers. That’s ok, because we are flower experts. If you have an idea of the look you are attracted to, we can help you identify a colour palette, make style suggestions, recommend flower varieties that will likely work for you. Choosing your wedding flowers doesn’t have to be intimidating! Add a soft colour to a mostly white palette. Ex. Soft lavender and white for a feminine and romantic palette that still feels classic. Add a pop of more saturated or darker colour to a simpler colour palette: Ex. Soft lavender and white with pops of eggplant or plum. Choose colours that are closely related to keep even a bright colour palette sophisticated. Ex. Peach, blush and butter for a soft version, or bright pink, orange, and gold for a bolder version. Do you want something big and cascading? Something sweet and petite? Or maybe something right in the middle? In order to decide you’ll want to look at some examples and think about what your wedding day will look like. Regardless of the style of bouquet, you’ll want to keep it looking fresh and happy on your wedding day. Be careful about the temperature as extremely hot or cold weather don’t mesh will with fresh flowers! Read on here to get all the tips. What flowers will you use for my wedding? We source flowers from multiple sources including a number of reputable wholesalers and local growers. During our consultation we’ll ask if there are varieties in particular that you love or hate so we can get a feel for your preference. When we write your floral proposal we will include a list of flowers that are typically available around your wedding date and would work for your colour palette and aesthetic. The list isn’t exhaustive or guaranteed but meant to give you an idea of what we have in mind. We cannot guarantee any specific blooms (if you want to know more about that, read on here…) but we work hard to understand the look you want and we will go above and beyond to deliver beautiful flowers that you’re going to love. What flowers are in season for my wedding day? Though many varieties are available year-round, there are a few favourite wedding flower varieties that are little more special. 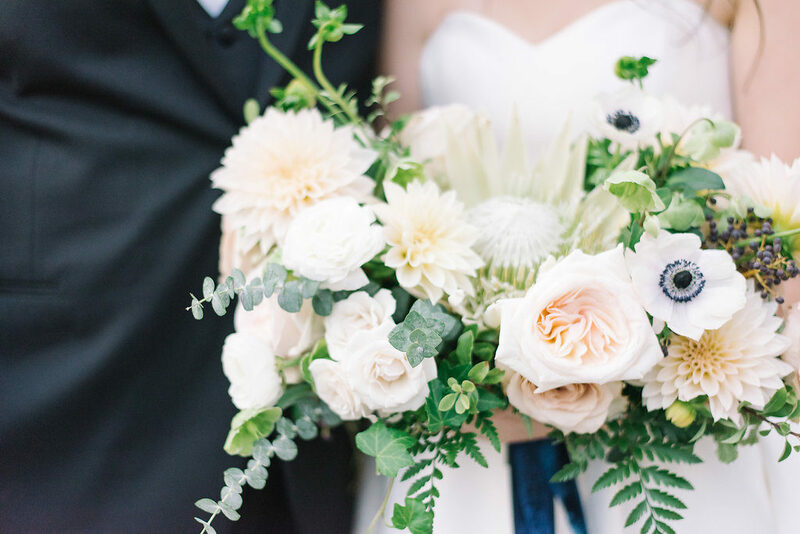 These sentimental, seasonal favourites often make the top of our brides flower request list. If you love these blooms, check below to see if they’re available for your date.